At an early age Sam was introduced to sailing, growing up onboard his parents' sailing yacht, cruising the Carribbean and living in Grenada. Back in Britain after some eight years Sam took his sailing a lot more seriously, starting with some dinghy sailing and then Match Racing where he became the UK RYA Youth National Match Racing Champion in 2008. 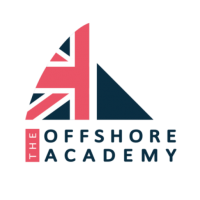 In 2010 Sam competed in the challenging double-handed Round Britain Race and the following year was selected to join the Artemis Offshore Academy being awarded the first Artemis Offshore Academy Scholarship becoming one of the very first members of the Academy. 2012 and 2013 saw Goodchild continue his Figaro campaign improving from his first years performance with a 24th and then an 11th – the best British result in 38 years of the Figaro class. Building upon this success, Sam has his eyes set on the ultimate goal – the 2016 Vendee Globe.